In the last few months, a new disease has emerged that is transmitted not by water, by air, by contact – but by speech. Language. Via text messaging and email, telephone or video. This disease attacks thought itself, undermining our ability to think critically and resist other people’s influence. This is an epidemic of harmful ideas and broken logic. And it’s spreading. Whole communities of people, highly contagious, wandering about, unable to talk, unable to take care of themselves, looking for things to believe in. In a few short months, the epidemic has hit a critical mass and gone global. The population of entire countries have been infected and gone under, and all international communications have collapsed entirely. In Australia, the last remaining survivors have been quarantined in bunkers, isolated from any potentially infected communications from the world outside. Now, as food and medical supplies are running short, a group of scientists from a medical research laboratory are about to embark on a last-ditch attempt to release a cure. Boho invites you join us as we open channels to the last functioning research centre in Australia for a lecture that will turn the tide of this epidemic. Devised, written and produced by Boho’s Mick Bailey and Jack Lloyd, Word Play also featured director Marisa Martin, designer Gillian Schwab, technical operators Daniel McCusker and Chris Brain, and performers Raoul Craemer, Cathy Petocz and Euan Bowen. 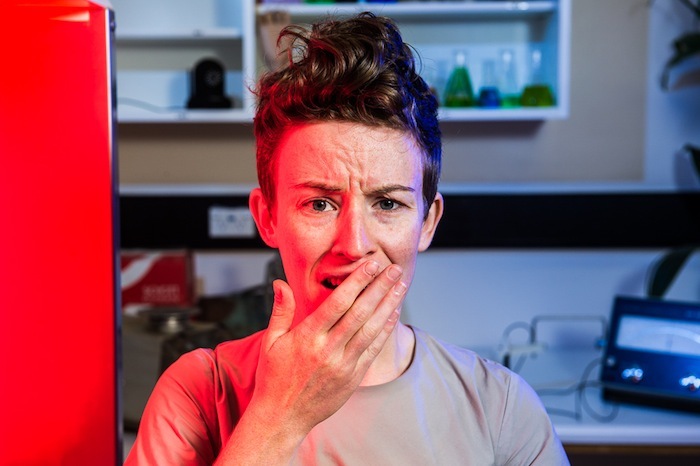 Created in residence at the CSIRO, Word Play looks at the behaviour of epidemics, focusing on an ominous trend in medical research over recent decades. As a result of widespread use of antibiotics, almost every type of harmful bacteria has become stronger and less responsive to treatment. Antibiotics that were once reserved as drugs of last resort are now routinely deployed, and the microbes are now overcoming even these final defences. Old scourges such as Tuberculosis are returning, completely immune to remedy. Meanwhile, new and appallingly lethal diseases such as Hendra, SARS and Ebola are increasingly brought into contact with people through evolving networks of human behaviour – urbanisation, agriculture and travel. The results are impossible to predict. Boho’s research into this area included a visit to the Australian Animal Health Laboratories near Geelong, Victoria, where we were lucky enough to be taken to Biosecurity Level 3, and visit the room where the samples of Ebola, Hendra, Nipah and SARS were kept. Read more here. Word Play was a Centenary of Canberra project, proudly supported by the ACT Government & CSIRO.